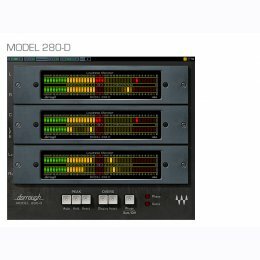 The Waves Dorrough Meter Collection features models of Dorrough’s most popular loudness meters: 280D/240D, 380D/340D, and 40AES/EBU. Developed in association with Dorrough Electronics, they provide precision loudness monitoring for every conceivable audio scenario. As Input Meters to attain optimal recording levels, as Group/Auxiliary Meters to achieve optimal group loudness, or as Master Output meters, the Waves Dorrough Meters do it all! The Waves Dorrough Meter Collection —Surround Edition includes the Waves Dorrough stereo meters with all their advanced display features and functions, plus customized meters engineered especially for Surround production environments.